Honk if you Love the Ocean! 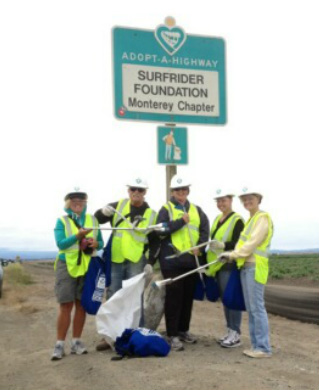 Our Road Warriors Hit the roadside once a month to help stop flyaway debris from entering our waterways as well as beautify a stretch of Highway 1 for motorists to enjoy. Road Warriors meet the second Saturday of every month from 11 to 2 at the Haute Enchilada In Moss Landing for quick instruction before heading out to this surprisingly meditative and earth loving activity. Must be 16 or older and wear long sleeves and closed toe shoes. We are limited to a handful of participants each month. Reserve your spot now! Contact Alison Goss at aligoss@gmail.com or 831--283-3356. Bring your form and we will sign off of Community Service Hours!